The role of glutathione in autism has become the topic of great interest as the scientists explore the theory that autism may be triggered by exposure to heavy metals, pesticides and other environmental toxins, coupled with a weak immune system and nutrient deficiencies in both mothers and children during fetal development and early life. Autism Spectrum Disorders (ASD) are a broad term for several neurodevelopmental disorders that manifest themselves very early in life, usually before the age of 3, and are characterized by the impairments in communication, cognitive abilities and social interaction, and by repetitive behaviors. While in the 1970s only 1 child in 10,000 was diagnosed with autism, the current statistics show that 1 in 68 children is affected by this condition in the United States, according to CDC. Some researchers state that more accurate statistic is 1 in 45 children. In her report on the harmful effects of glyphosate, most commonly used pesticide, Dr. Stephanie Seneff shared her less than comforting prognosis that half of American children would be autistic by 2025. Glutathione (GSH) is our major endogenous (produced in the body) antioxidant and the main detoxifier of numerous harmful substances, such as pesticides, herbicides, various industrial chemicals, environmental pollutants, heavy metals, and it is the main protector against the damage from harmful bacteria, fungi, and viruses. Our cells die when glutathione levels in them drop too low, and more cannot be manufactured. Low glutathione levels are found in all diseases without exception. In most diseases researchers do not know for sure if low glutathione is the cause or the consequence of a disease. This is not the case with glutathione in autism. A few studies now show that “a GSH deficit occurs prior to neuropathological abnormalities in these diseases [brain disorders such as autism, schizophrenia, bipolar disorder, Alzheimer's disease, and Parkinson's disease]”, according to a review “Glutathione redox imbalance in brain disorders” Gu F et al, published in January 2015. Research on the levels of glutathione in autism has also identified certain genetic abnormalities as a risk factor for the development of autism, including the abnormalities in the genes responsible for regulating the activity of the glutathione antioxidant enzymes and Phase II detoxification enzymes, and other endogenous antioxidants. However, gene defects account for less than 10% of autism cases. Environmental factors and nutrient deficiencies deplete glutathione further, and the resulting impact on important metabolic processes in the body have now come into limelight – immune dysfunction, chronic inflammation, abnormalities in methylation and the related transsulfuration pathways (that provide cysteine for GSH synthesis), impaired detoxification, energy generation and mitochondrial dysfunction, shift in a redox status towards oxidation, all of which put a burden on a child’s developing brain. There are numerous studies that register suboptimal levels of glutathione in autism. As of March 2016 there are 139 studies on PubMed that investigate glutathione levels, and antioxidant and detoxification activity in autism. One study published in 2012 examined the concentrations of glutathione in reduced (active) form GSH and oxidized form GSSG, total GSH (tGSH) levels and the redox ratio of GSH to GSSG, which is a marker of oxidative stress, in different regions of brains from autistic subjects and age-matched controls. GSH levels were significantly lower in the autistic subjects - by 34.2% (in the cerebellum) and by 44.6 % (in the temporal cortex), with an associated increase in the levels of GSSG by 38.2% and 45.5% respectively, as compared to the control group. A significant decrease in the levels of total GSH was also observed - by 32.9% in the cerebellum, and by 43.1% in the temporal cortex of autistic subjects. The GSH/GSSG ratio was also significantly decreased - by 52.8 % in the cerebellum and by 60.8 % in the temporal cortex of autistic subjects, suggesting glutathione redox imbalance in the brain of individuals with autism. The researchers concluded that “the findings indicate that autism is associated with deficits in glutathione antioxidant defense in selective regions of the brain”. (Brain region-specific glutathione redox imbalance in autism. Chauhan A et al. Neurochem Res. 2012 Aug;37(8):1681-9). Another study with Omani children showed that the serum level of glutathione in autistic subjects was significantly lower than that of controls, while levels of homocysteine and S-adenosyl-homocysteine (SAH) were elevated, indicative of oxidative stress and decreased methylation capacity. At the same time mercury levels were markedly elevated in the hair of autistic subjects compared to control subjects, consistent with the importance of glutathione for mercury detoxification. Mercury is a well-documented neurotoxin. Significant nutritional deficiencies in serum folate and vitamin B12 were observed – these are crucial glutathione cofactor vitamins, also involved in methylation. (Decreased glutathione and elevated hair mercury levels are associated with nutritional deficiency-based autism in Oman. Hodgson NW, Waly MI et al. Exp Biol Med (Maywood). 2014 Jun; 239(6):697-706). Yet another recent study from China assessed transsulfuration pathways and oxidative metabolites in children with autism - homocysteine, cysteine, total glutathione, reduced (active) glutathione (GSH), oxidized glutathione (GSSG), and glutathione redox ratio (GSH/GSSG). The results indicated that homocysteine levels and oxidized glutathione levels were significantly higher in children with autism, while cysteine levels, total glutathione, reduced glutathione and the GSH/GSSG ratio showed remarkably lower values in autistic children compared to the control group. After evaluating the clinical severity of autism behavior with the Childhood Autism Rating Scale (CARS) and by the Autism Behavior Checklist (ABC), the research team concluded that abnormal transsulfuration metabolism, reduced antioxidant capacity and increased oxidative stress “appear to have a potentially negative impact on clinical severity of autistic disorder”. (Abnormal transsulfuration metabolism and reduced antioxidant capacity in Chinese children with autism spectrum disorders. Han Y, Xi QQ et al. Int J Dev Neurosci. 2015 Nov; 46:27-32). Cysteine is the crucial, rate-limiting amino acid required for glutathione production. The availability of cysteine dictates how much and how fast cells can make glutathione. Transsulfuration pathway mentioned above supplies about 50% of cysteine produced in the body that is used for glutathione production (The potential role of the antioxidant and detoxification properties of glutathione in autism spectrum disorders: a systematic review and meta-analysis. Penelope AE Main et al. Nutr Metab (Lond). 2012; 9: 35). The complexity of the transsulfuration pathway, its dependence on various enzymes and the availability of vitamin B6, B12 and folate jeopardize this source of cysteine – in reality this source may provide far less than 50% of what the body needs to make glutathione. The rest of much needed cysteine is supposed to come from foods. Cysteine content in foods is low compared to other amino acids. Heat during cooking, pasteurization and food processing greatly reduce cysteine’s bioavailability. 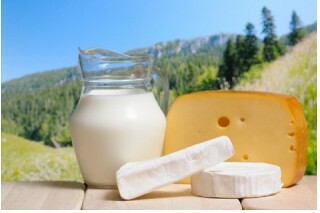 The most viable source of bioavailable cysteine in the bonded form “cystine”, and the form glytamylcysteine that can enter cells – raw dairy – is unavailable to people in most areas. Another “obstacle” in obtaining cysteine for glutathione production is the fact that when cysteine is in short supply, your body directs it to the production of proteins rather than glutathione (Stephen Parcell, ND, Review "Sulfur in Human Nutrition and Applications in Medicine”. Altern Med Rev 2002;7(1):22-44). Only when the supply of cysteine is high can cysteine be used to make glutathione. There is also a higher demand for cysteine for de novo (new) glutathione synthesis during chronic oxidative stress (James SJ et al., 2004). This leads us to the realization that the continuous availability of cysteine is necessary for cells to produce glutathione, especially at the times of increased demand – that is at the times of increased generation of oxidants (e.g. during an immune response), or exposure to pollutants, heavy metals and other dangerous substances. There are several sources of supplemental cysteine that we discuss in detail on our page Cysteine. According to the above mentioned review (Gu F et al. ), the potential therapeutic agents for brain disorders, including autism, are N-acetyl-cysteine, liposomal glutathione, and undenatured whey protein supplement which can increase glutathione levels in the brain and alleviate oxidative stress-associated damage and may improve the behavior of individuals with brain diseases. In addition, transdermal glutathione and glutathione IV therapy may be beneficial. The safest and most natural of these sources of bioavailable cysteine is undenatured (non-heated) whey protein isolate derived from basic food, raw milk. This bonded cysteine supplement has been shown to be well tolerated by children with autism in a pilot study conducted at the University of Texas Southwestern Medical Center (Oral tolerability of cysteine-rich whey protein isolate in autism. A pilot study. Kern JK, Grannemann BD, Trivedi MH. JANA Vol. 11, No. 1, 2008). Currently the follow-up double-blind, placebo-controlled trial with autistic children of preschool age is approaching its conclusion at the research facilities of Nova Southeastern University in Florida with the purpose to evaluate the effects of undenatured whey protein on autistic behavior. Other important components of raising and maintaining glutathione levels are: glutathione cofactor vitamins and minerals – vitamins C, E, B1, B6, B12 and folate (B9), magnesium, zinc and selenium, and the availability of other two amino acid precursors – glutamate and glycine, both of which are present abundantly in undenatured whey protein. A study from 2004 conducted by Dr. S. Jill James at the University of Arkansas also found a significant glutathione deficiency and low ratio of reduced to oxidized glutathione in autism. An abnormal methylation activity was also registered in the children with autism that lead to cysteine deficit for glutathione synthesis. This study had a treatment phase with two glutathione cofactors - folinic acid (metabolically active form of folic acid) and intravenous methylcobalamin (metabolically active form of vitamin B12) that showed success in improving methylation pathways in the participating children (James SJ et al., 2004). Sulforaphane, a phytochemical found in cruciferous vegetables, is known to stimulate glutathione synthesis to a certain degree. You can read about it in more detail on our page Health Benefits of Broccoli. In one double-blind placebo-controlled trial a phytonutrient compound sulforaphane (derived from broccoli sprouts) was used successfully in a group of autistic teenage boys and young men (aged 13-27). After 18 weeks the social behavior scores, verbal communication and social interaction improved considerably in the majority of the participants in the supplementation group compared to placebo group. However, upon discontinuation of sulforaphane supplementation the total scores returned to pretreatment values. (Sulforaphane treatment of autism spectrum disorder (ASD). Singh K, Connors SL et al. Proc Natl Acad Sci U S A. 2014 Oct 28; 111(43): 15550–15555). This enzyme is part of the gamma-glutamyl cycle which presents an additional pathway for the synthesis of glutathione. 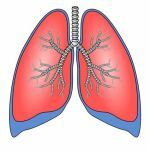 GGT is attached to the outside of plasma membranes of certain organs (liver, kidneys, pancreas and lungs). Its main function is to break down circulating extracellular glutathione, usually from foods and supplements, into the constituent amino acids, thus providing crucial glutamylcysteine that can pass through the cell's membrane and be used for intracellular glutathione synthesis. 1. Glutathione redox imbalance in brain disorders. Gu F et al. Curr Opin Clin Nutr Metab Care. 2015 Jan;18(1):89-95. 2. Abnormal transsulfuration metabolism and reduced antioxidant capacity in Chinese children with autism spectrum disorders. Han Y, Xi QQ et al. Int J Dev Neurosci. 2015 Nov;46:27-32. 3. Decreased glutathione and elevated hair mercury levels are associated with nutritional deficiency-based autism in Oman. Hodgson NW, Waly MI et al. Exp Biol Med (Maywood). 2014 Jun;239(6):697-706. 4. Metabolic biomarkers of increased oxidative stress and impaired methylation capacity in children with autism. James SJ, Cutler P et al. Am J Clin Nutr, December 2004, vol. 80 no. 6 1611-1617. 5. Environmental toxicants and autism spectrum disorders: a systematic review. Rossignol DA et al. Transl Psychiatry. 2014 Feb; 4(2): e360. 6. A key role for an impaired detoxification mechanism in the etiology and severity of autism spectrum disorders. Alabdali A et al. Behav Brain Funct. 2014; 10:14. 7. Brain region-specific glutathione redox imbalance in autism. Chauhan A et al. Neurochem Res. 2012 Aug;37(8):1681-9. 8. The potential role of the antioxidant and detoxification properties of glutathione in autism spectrum disorders: a systematic review and meta-analysis. Main P, Angley MT et al. Nutr Metab (Lond). 2012; 9:35. 10. A clinical trial of glutathione supplementation in autism spectrum disorders. Kern JK et al. Med Sci Monit. 2011; 17(12): CR677–CR682. 11. 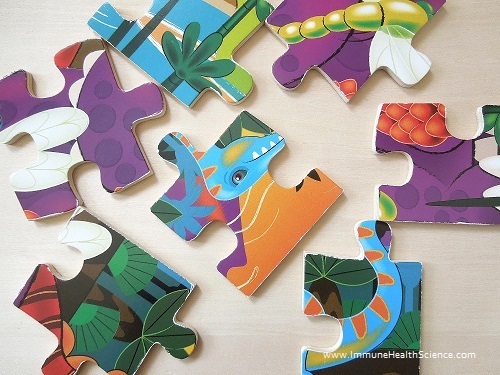 Complementary and Alternative Treatments for Autism Part 1: Evidence-Supported Treatments. Bent S, Hendren RL. AMA Journal of Ethics. March 2016, Volume 18, Number 3: 195-352. 12. Sulforaphane treatment of autism spectrum disorder (ASD). Singh K, Connors SL et al. Proc Natl Acad Sci U S A. 2014 Oct 28; 111(43): 15550–15555. 13. What is the role of vitamin D in autism? Cannell JJ, Grant WB. Dermatoendocrinol. 2013 Jan 1; 5(1): 199–204. 14. Latest autism statistics. TACA. 15. "Autism Rates To Increase By 2025? Glyphosate Herbicide May Be Responsible For Future Half Of Children With Autism" by Susan Scutti. Jan 5, 2015. 16. Dr. Jimmy Gutman "Glutathione. Your Key To Health". 4th edition, 2008.